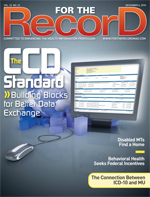 Behavioral health facilities seek to be included in meaningful use incentive payments. The Health Information Technology Extension for Behavioral Health Services Act, currently in committee, would extend federal incentive payments for HIT adoption to previously ineligible behavioral health care providers and facilities. In addition, it would expand the list of eligible professionals to include clinical social workers and clinical psychologists. Currently, behavioral health care provider organizations can qualify for Medicare and Medicaid incentive funds only through the existing definition of eligible professionals, which includes physicians and nurse practitioners affiliated with their facilities. Despite being ineligible for large incentives intended to encourage the deployment and meaningful use of EHRs, approximately 20% of behavioral health organizations have already implemented electronic records technology, according to member surveys conducted by the National Council for Community Behavioral Healthcare. Many more would like to purchase EHRs but simply can’t afford them, says Chuck Ingoglia, MSW, the council’s vice president of public policy. Tate suggests the omission occurred because the committee adopted the definition of an eligible provider from Medicare’s fee-for-service system. “Behavioral health, with the exception of psychiatrists, has never been Medicare fee for service,” he says. While it’s possible to capture such information via text entry or dictation (including voice recognition), that’s a time-consuming effort, says Fochtmann. Relying on voice recognition alone makes it difficult to leverage the pluses of electronic records whereas using a mix of text and structured data entry doesn’t mesh well with typical workflows and impedes productivity. Tate believes there are plenty of behavioral health-specific EHRs to choose from and cautions facilities not to deploy software that has been developed for a general hospital or primary care practice. On the other hand, some EHRs designed specifically for behavioral health settings don’t incorporate medication administration and prescribing, which some but not all of these settings need, according to Fochtmann. Tate recommends getting advice from similar clinics or mental health environments that have implemented EHRs or contacting behavioral health associations for information regarding HIT adoption. Silver Hill Hospital and Manatee Glens are among the organizations that have overcome these barriers, identified effective EHR technologies, and implemented them successfully. Located in New Canaan, Conn., Silver Hill uses the OpenVista EHR, a commercialized version of the VA’s VistA EHR system that is available to anyone through the Freedom of Information Act. Widely credited with helping transform the VA into an efficient and clinically effective healthcare organization, VistA played a key role in inspiring the current multibillion-dollar federal stimulus initiative to motivate U.S. healthcare providers to achieve meaningful use. Enhanced for commercial healthcare and made available as open source by Medsphere Systems Corporation, OpenVista is a portfolio of products and professional services for hospitals, clinics, and integrated delivery networks. Via OpenVista’s collaborative HIT platform, the hospital shares clinical insights with other mental health care providers. “For example, when we develop a multidisciplinary treatment plan in collaboration with Medsphere, it becomes available to any hospital that uses OpenVista,” says Ackerman. Last fall, the hospital shared the products it had designed via the Healthcare Open Source Ecosystem, a global community of clinicians, administrators, software developers, and enthusiasts. The hospital’s ecosystem contributions include psychosocial assessments, a suicide assessment scale, a CAGE (an acronym for four standard alcoholism screening questions) questionnaire and mental status assessment, nursing assessments with detailed substance and psychiatric history components, and diagnosis-specific treatment plans. Because Silver Hill had another EHR prior to OpenVista, staff was already trained on computer use. Still, it was necessary to “sell” people on the need for a new system. Manatee Glens, located near Tampa Bay on Florida’s west coast, is a nonprofit behavioral health hospital and outpatient practice that chose Netsmart Technologies’ Avatar, a specialty behavioral health EHR, after a thorough due diligence process. Another success factor at Manatee Glens was creating a cross-disciplinary team that spent one year planning the implementation. The organization also beefed up its IT capabilities and staffing. Ruiz recommends investing in technical consultation from the EHR vendor. “You can’t expect your vendor to implement it for you, but you have to buy the expertise for the implementation. That’s absolutely critical. Do not short your budget in that area because you’ll pay for it year after year,” she says. To demonstrate its desire to meet meaningful use criteria, Manatee Glens borrowed much of the money it needed to implement its EHR. “We borrowed against our future. It was that important to us,” Ruiz says.